Enjoy beautiful mile high scenery, ride some of the tracks that helped shape the face of America, visit the prestigious Air Force Academy and see why Colorado Junction is considered the home of Colorado’s Wine Country. 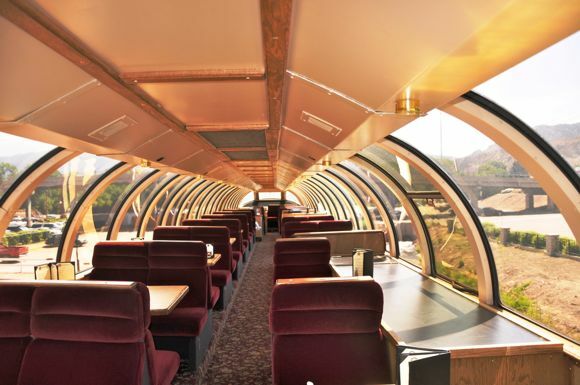 End your Western adventure and climb aboard the California Zephyr and rail through the heart of the Rockies into the snow capped Sierra Nevadas, all the way to San Francisco. Known as Little London in its early days, the city was founded in 1871 as a resort town by Civil War hero, General William J. Palmer. Today, Olympic City USA is home to more than 55 unique things to see and do. Enjoy stunning natural scenery, endless blue skies and exciting choices for outdoor adventure. See where Olympic dreams are born and discover all that Colorado’s second-largest city has to offer. The Mount Washington Cog Railway, also known as the Cog, is the world's first mountain-climbing cog railway. The railway is still in operation, climbing Mount Washington in New Hampshire, USA. A trip on the Mount Washington Cog Railway is a great way to experience the White Mountains and New Hampshire. So plan your trip today and experience the trip of a lifetime! Explore Colorado Springs' paradise in one magical stop at Garden of the Gods Park. Imagine dramatic views, 300' towering sandstone rock formations against a backdrop of snow-capped Pikes Peak and brilliant blue skies. This world-class Visitor & Nature Center and museum offers all new interactive exhibits and a theater experience. The U.S. Air Force Academy in Colorado is perhaps best known for its stunning chapel. Soaring 150 feet toward the Colorado sky, the U.S. Air Force Academy Chapel is an all-faiths house of worship designed to meet the spiritual needs of cadets. It contains a separate chapel for four major religious faiths — Protestant, Catholic, Jewish, and Buddhist — plus an all-faiths room used by Muslim cadets and available for members of the other faiths as well. 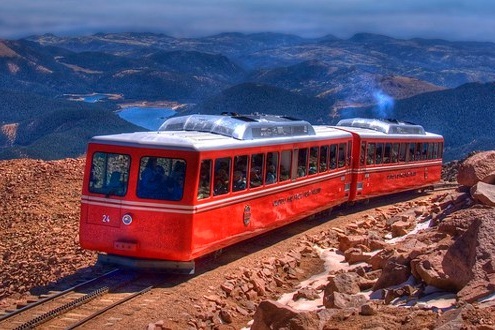 Experience America’s most spectacular rail journey aboard the Royal Gorge Route Railroad. 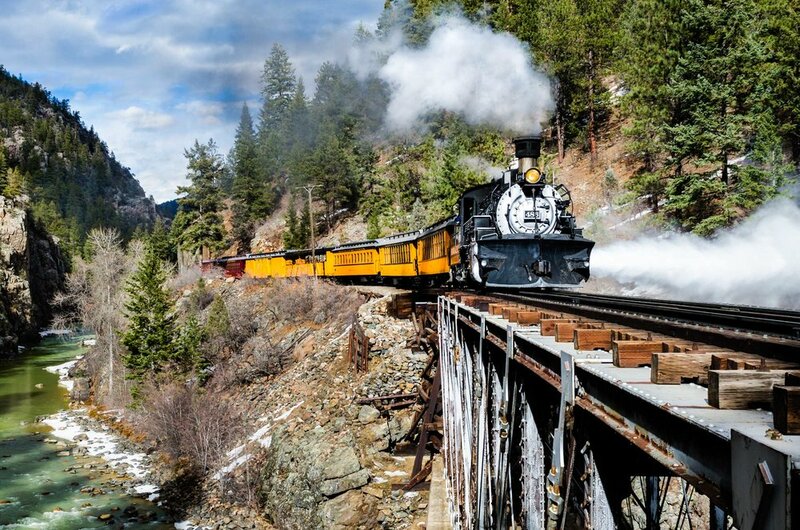 In 1905, President Teddy Roosevelt described it best as “the trip that bankrupts the English language!” Come experience not just a memorable train ride through the Colorado Rockies, but also enjoy classes of service where we combine gorgeous scenery, great service, with delicious food, sourced locally and prepared fresh right on board the train for lunch. Enjoy one leg of your Silverton journey onboard a modern D&SNGRR 53 passenger bus as you travel 52 miles of magnificent mountain terrain on US Highway 550's scenic San Juan Skyway! This option offers you a different perspective of the majestic mountains. Grand Junction is the largest city on Colorado's Western Slope, and serves as a hub for transportation and shipping between Denver and Salt Lake City. 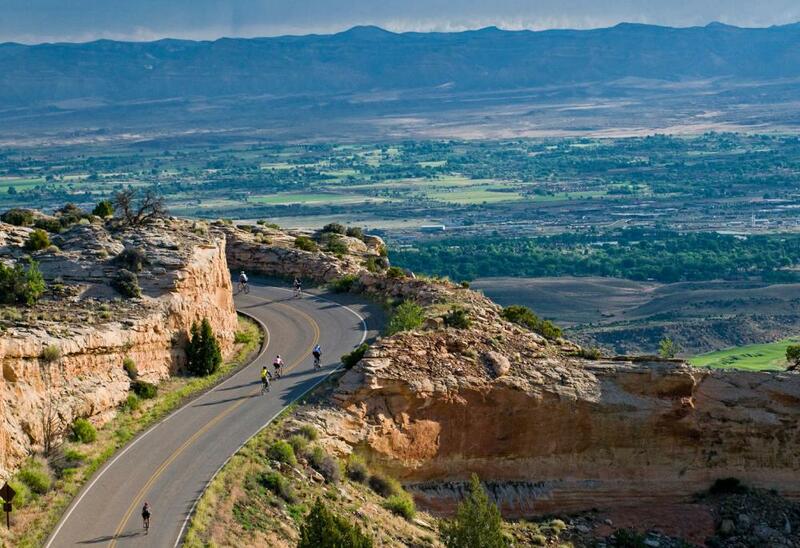 The Grand Junction area also includes unparalleled natural beauty. 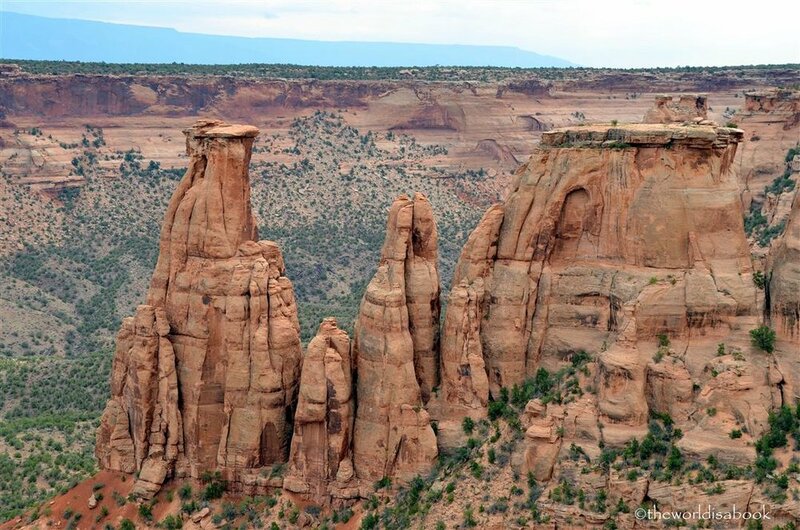 Colorado National Monument preserves one of the grand landscapes of the American West. But this treasure is much more than a monument. Towering monoliths exist within a vast plateau and canyon panorama. You can experience sheer-walled, red rock canyons along the twists and turns of Rim Rock Drive, where you may spy bighorn sheep and soaring eagles. Highlights shown above are just a few of this area's top attractions. Don't see the attraction you're looking for? Contact our team and we'll create a custom itinerary for your group!